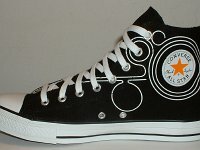 Photo gallery of sneakers issued to commemorate the 100th anniversary of the founding of the Converse Company in 1908. 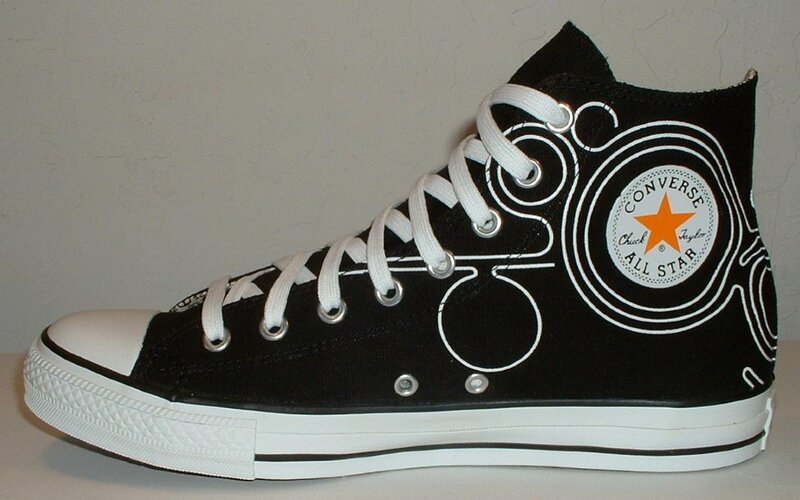 1 Converse Century Print High Top Chucks Inside patch view of a right black, white, and orange century print high top. 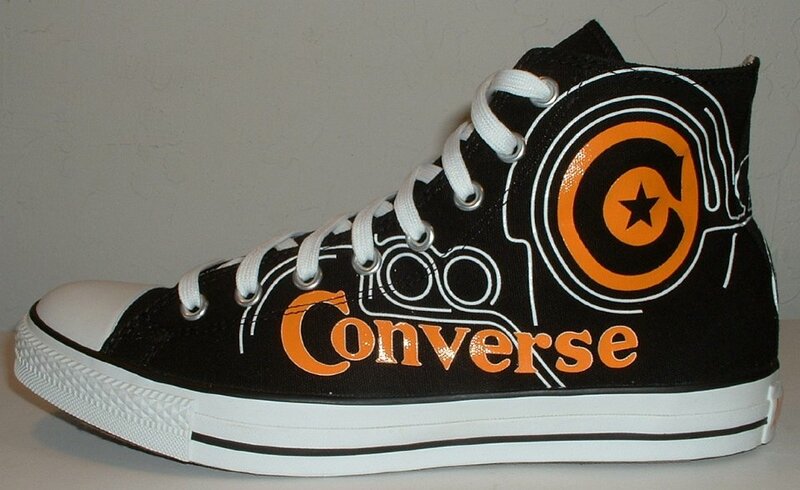 2 Converse Century Print High Top Chucks Outside view of a right black, white, and orange century print high top. 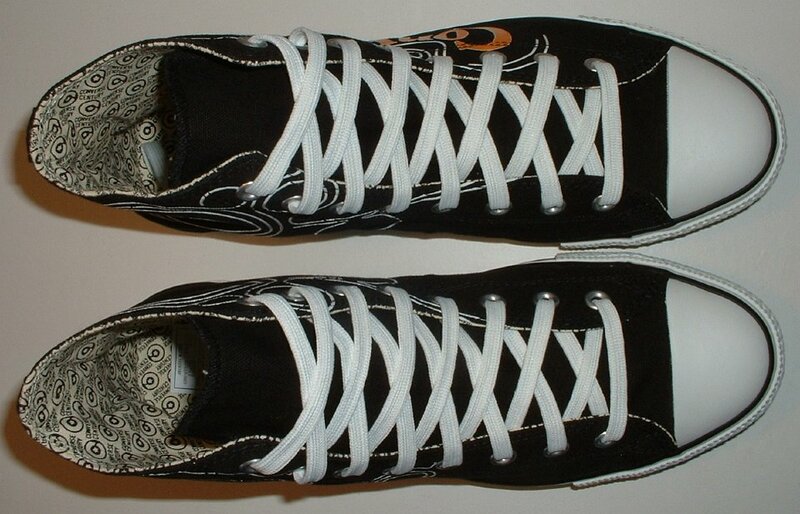 3 Converse Century Print High Top Chucks Inside patch view of a left black, white, and orange century print high top. 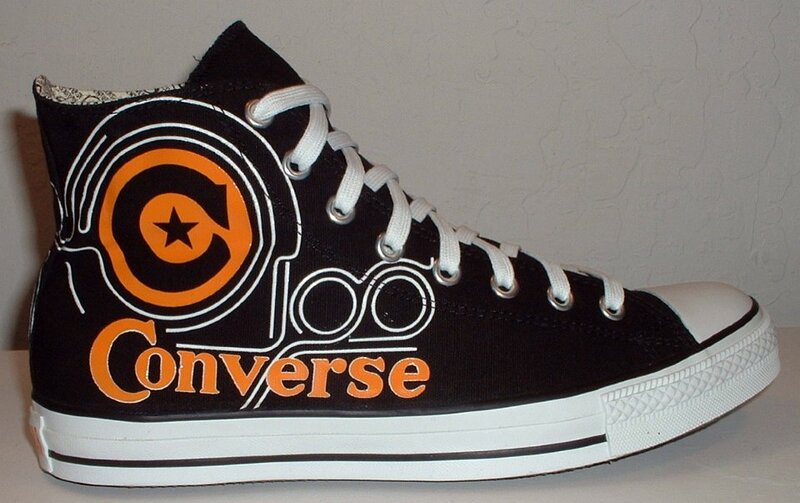 4 Converse Century Print High Top Chucks Outside view of a left black, white, and orange century print high top. 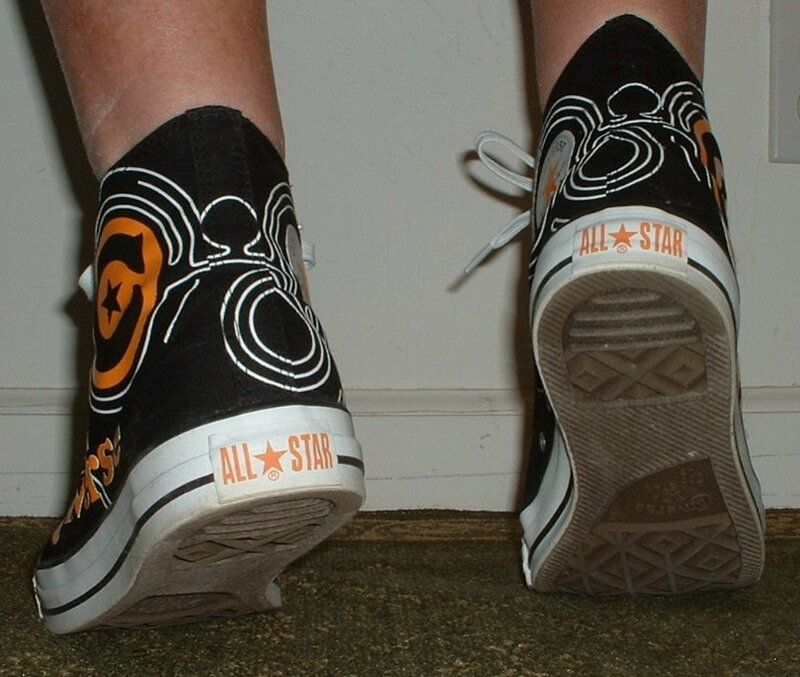 5 Converse Century Print High Top Chucks Rear view of black, white, and orange century print high tops. 6 Converse Century Print High Top Chucks Angled rear view of black, white, and orange century print high tops. 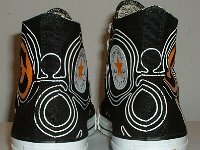 7 Converse Century Print High Top Chucks Angled side view of black, white, and orange century print high tops. 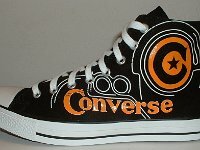 8 Converse Century Print High Top Chucks Front view of black, white, and orange century print high tops. 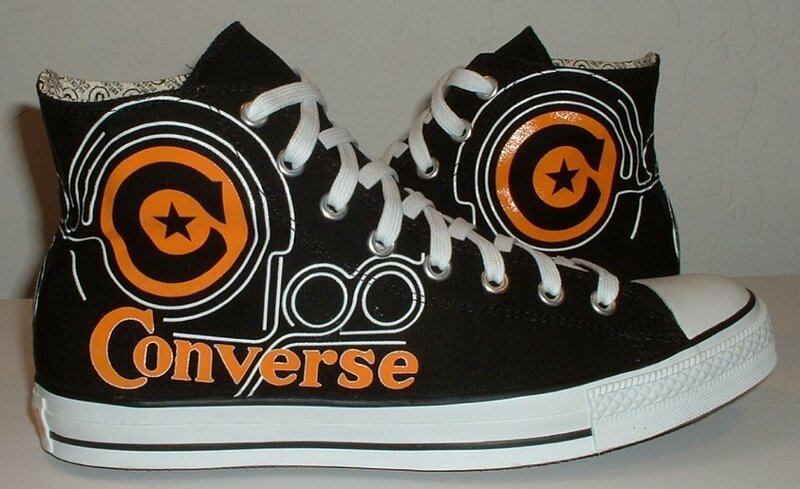 9 Converse Century Print High Top Chucks Angled front view of black, white, and orange century print high tops. 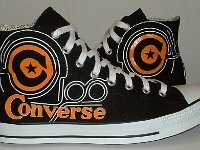 10 Converse Century Print High Top Chucks Top view of black, white, and orange century print high tops. 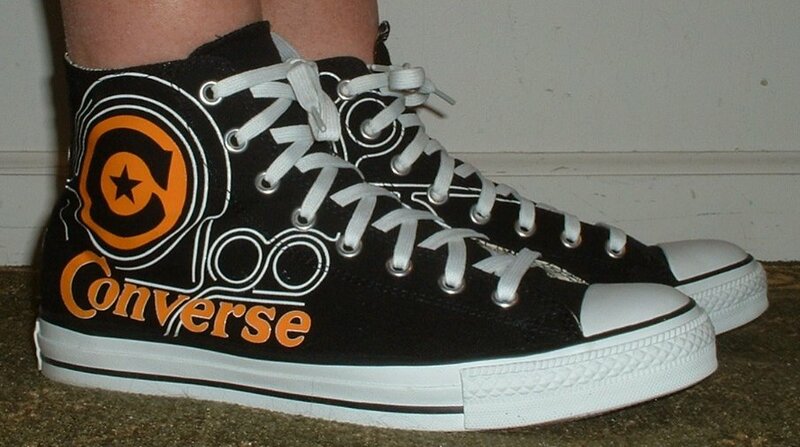 11 Converse Century Print High Top Chucks Inside patch views of black, white, and orange century print high tops. 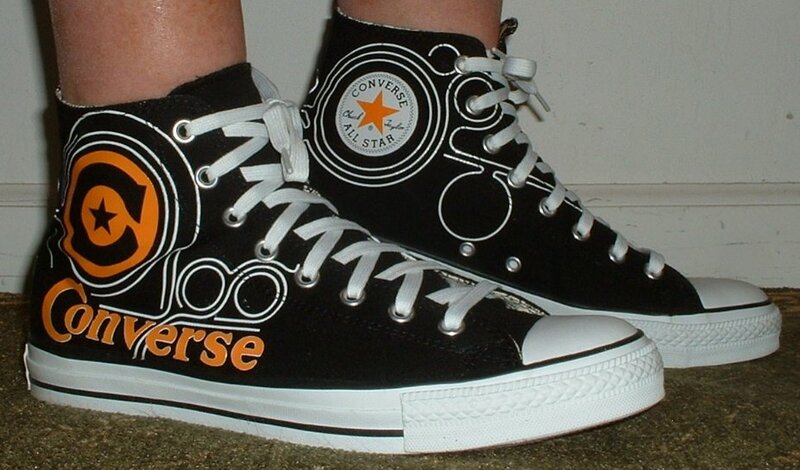 12 Converse Century Print High Top Chucks Outside views of black, white, and orange century print high tops. 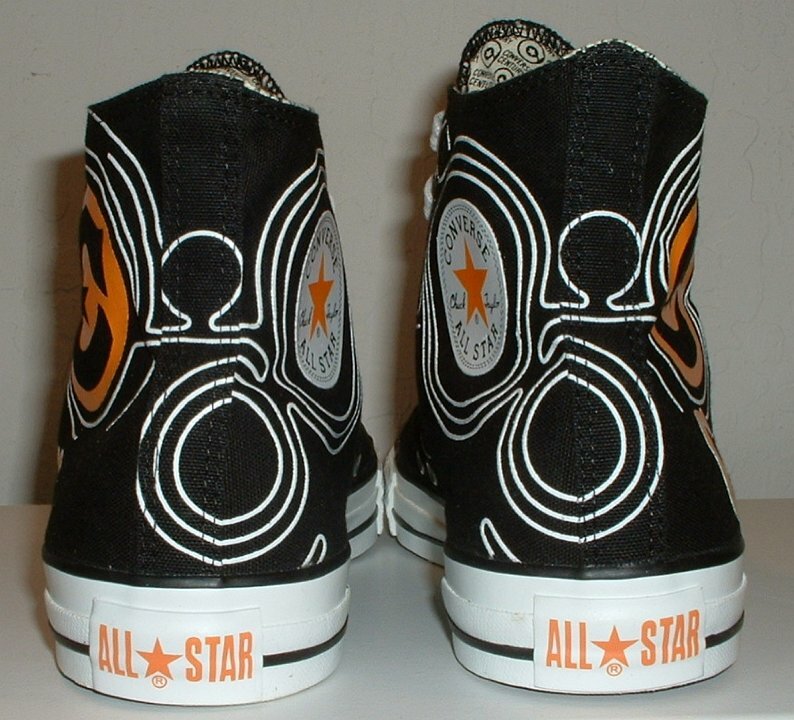 13 Converse Century Print High Top Chucks Inside patch and sole views of black, white, and orange century print high tops. 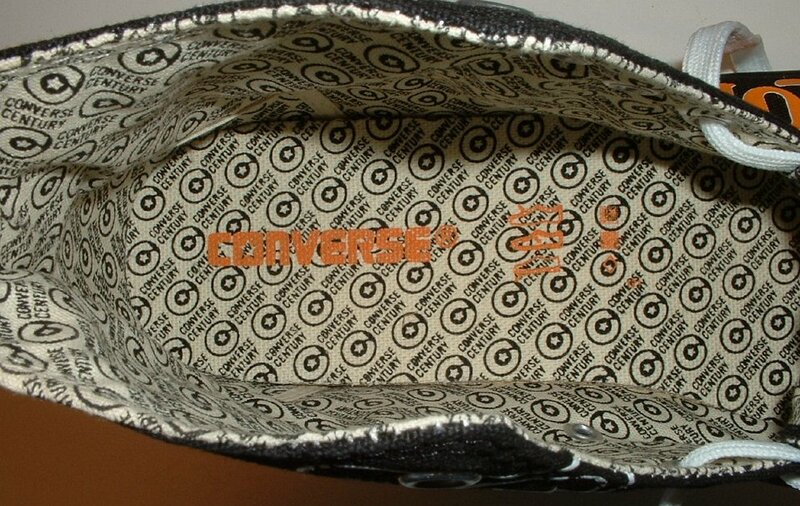 14 Converse Century Print High Top Chucks Insole closeup view of black, white, and orange century print high tops. 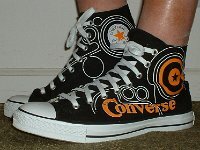 15 Converse Century Print High Top Chucks Wearing black, white, and orange century print high tops, front view shot 1. 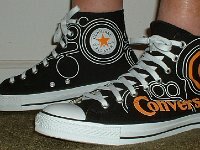 16 Converse Century Print High Top Chucks Wearing black, white, and orange century print high tops, front view shot 2. 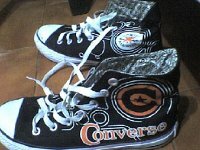 17 Converse Century Print High Top Chucks Wearing black, white, and orange century print high tops, front view shot 3. 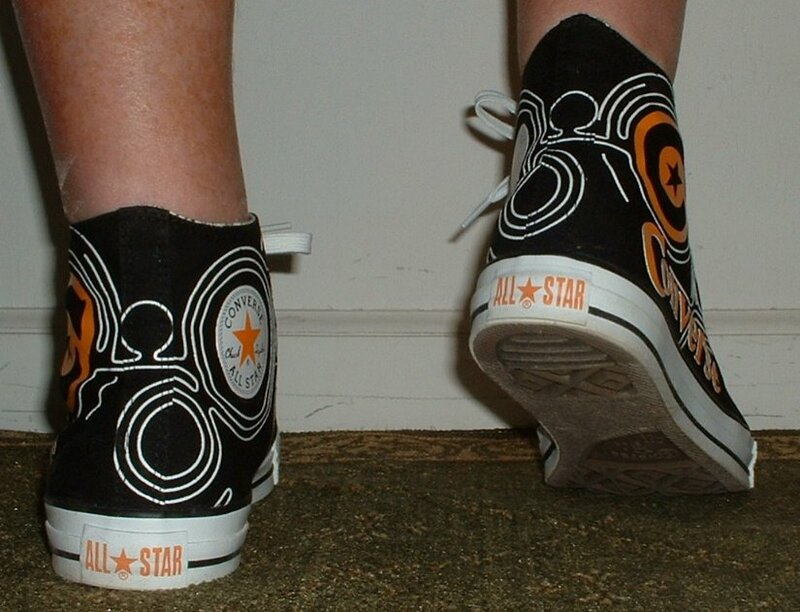 18 Converse Century Print High Top Chucks Wearing black, white, and orange century print high tops, right side view shot 1. 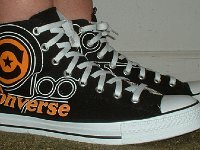 19 Converse Century Print High Top Chucks Wearing black, white, and orange century print high tops, right side view shot 2. 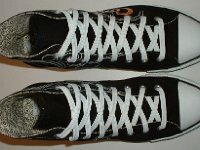 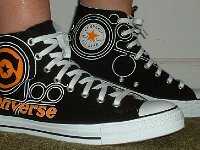 20 Converse Century Print High Top Chucks Wearing black, white, and orange century print high tops, right side view shot 3. 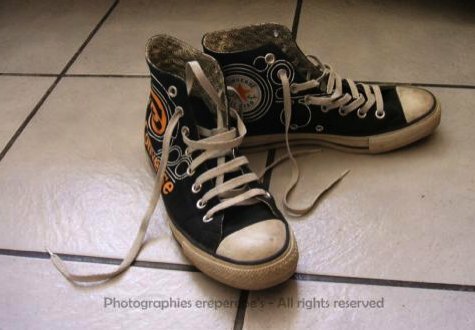 21 Converse Century Print High Top Chucks Wearing black, white, and orange century print high tops, rear view shot 1. 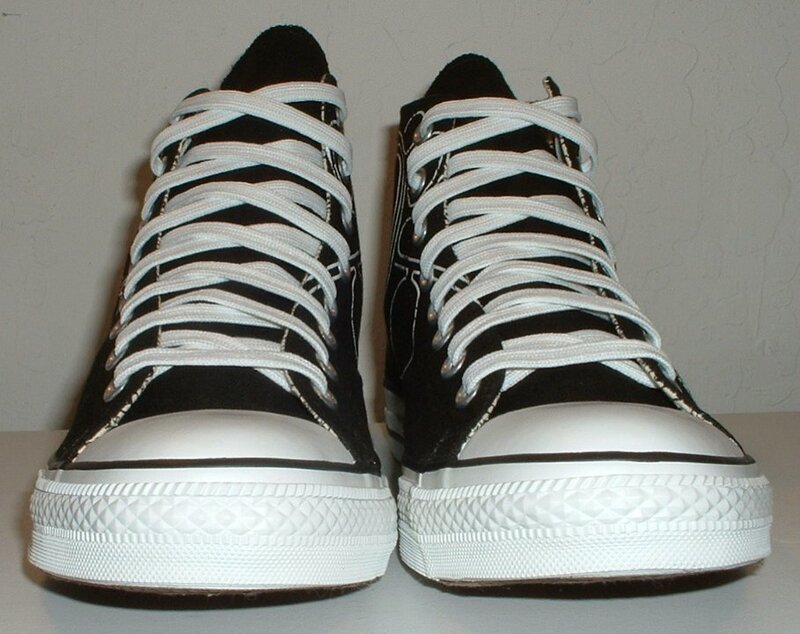 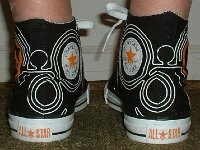 22 Converse Century Print High Top Chucks Wearing black, white, and orange century print high tops, rear view shot 2. 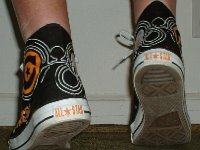 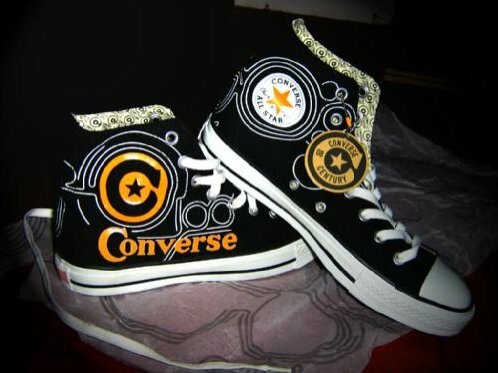 23 Converse Century Print High Top Chucks Wearing black, white, and orange century print high tops, rear view shot 3. 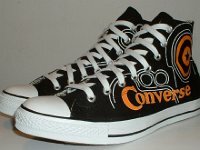 24 Converse Century Print High Top Chucks Wearing black, white, and orange century print high tops, left side view shot 1. 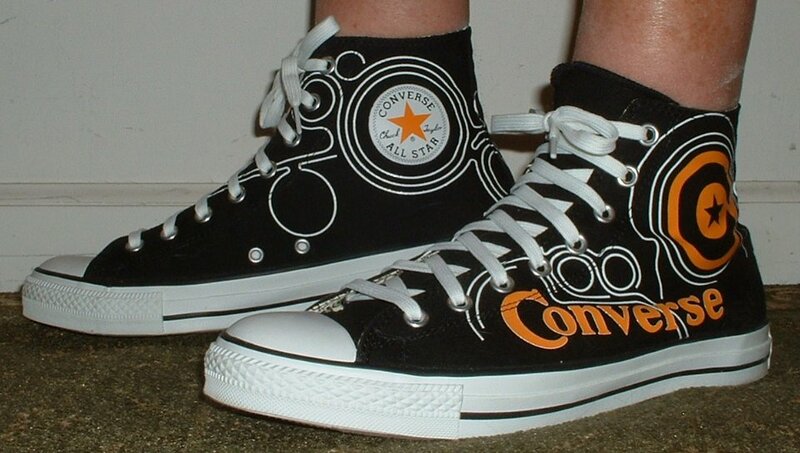 25 Converse Century Print High Top Chucks Wearing black, white, and orange century print high tops. 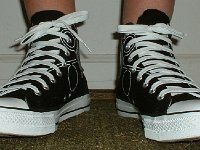 left side view shot 2. 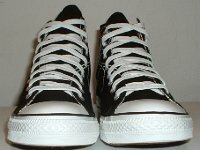 26 Converse Century Print High Top Chucks Angled front and side views of straight laced Converse Century high top chucks. 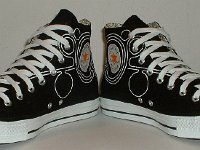 27 Converse Century Print High Top Chucks Left side view of Converse Century Print high tops. 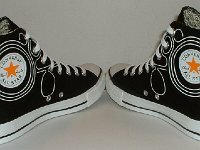 28 Converse Century Print High Top Chucks Side views of brand new Converse Century Print high top chucks. 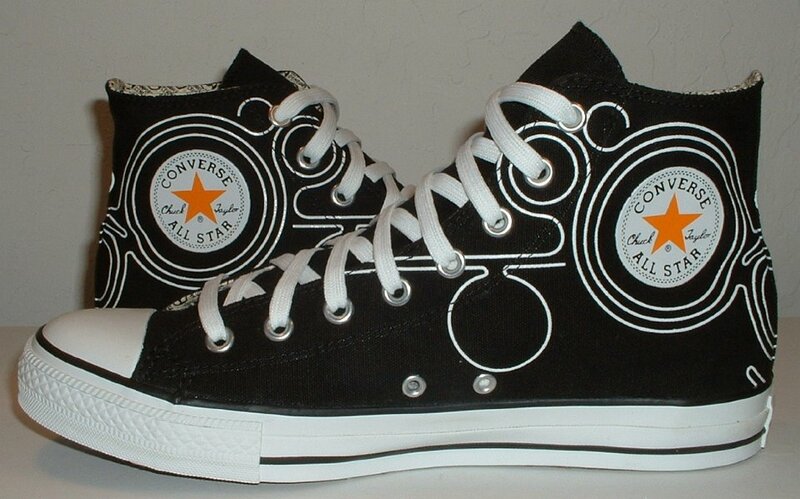 29 Converse Century Print High Top Chucks Right side view of a metallic silver Converse Century high top. 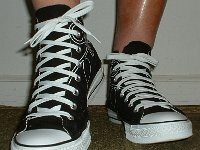 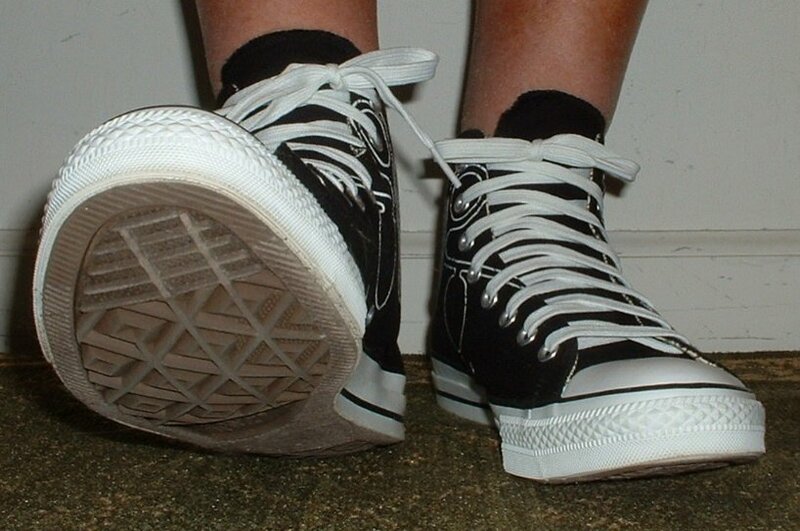 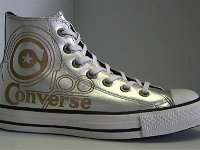 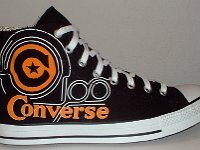 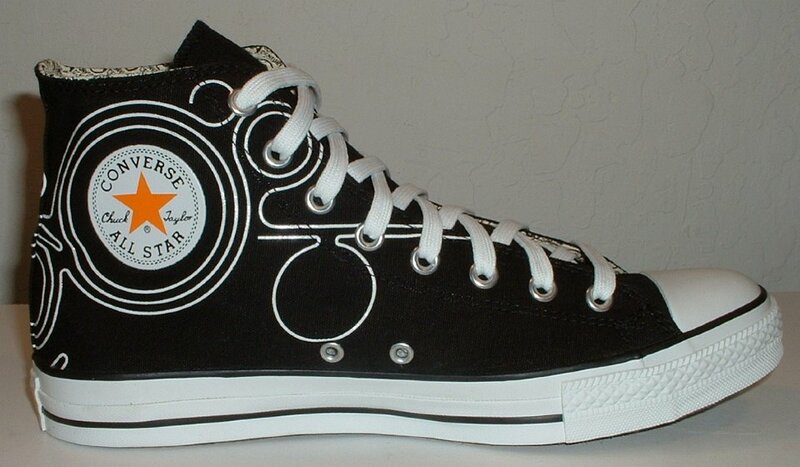 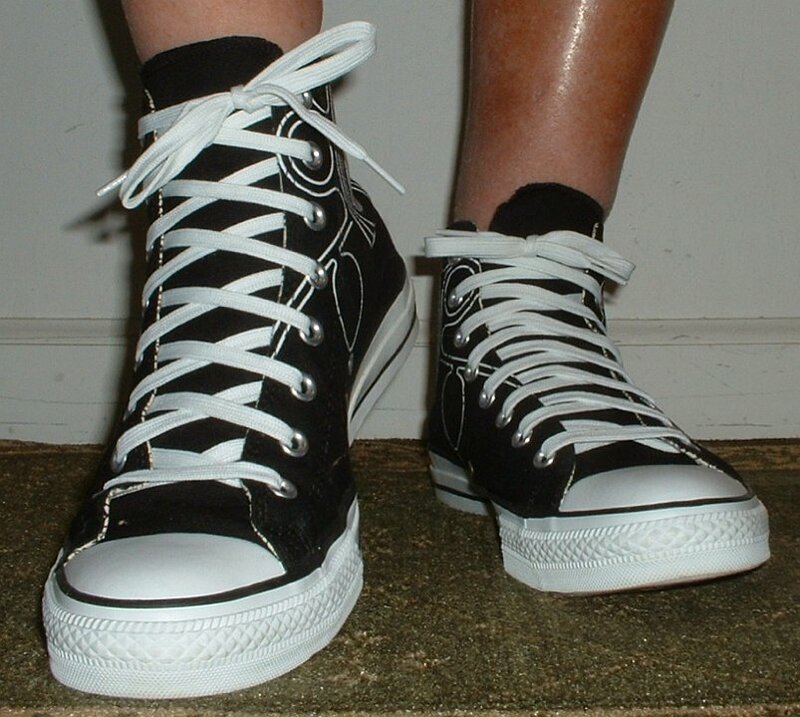 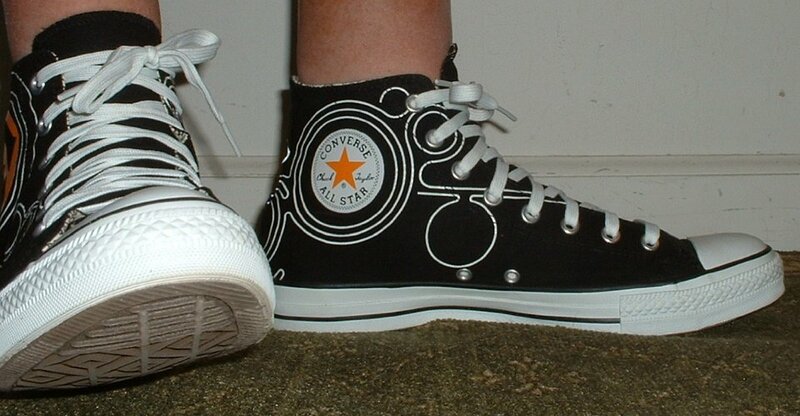 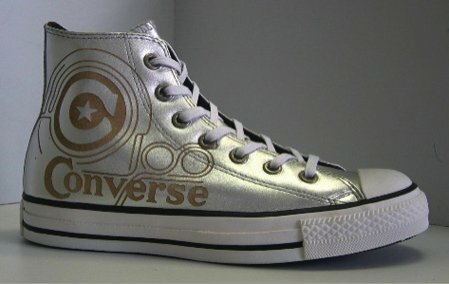 2008 marked the one hundredth anniversary of the founding of the Converse Company by Marquis Converse. 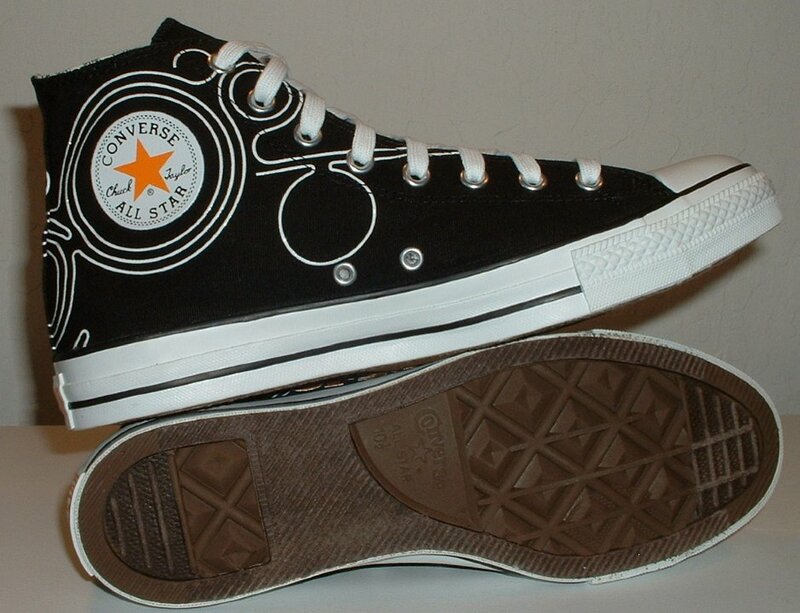 While this anniversary isn't particularly meaningful in the history of the Chuck Taylor shoe, it's still an excuse to celebrate. 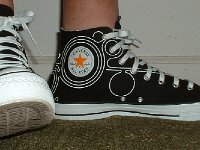 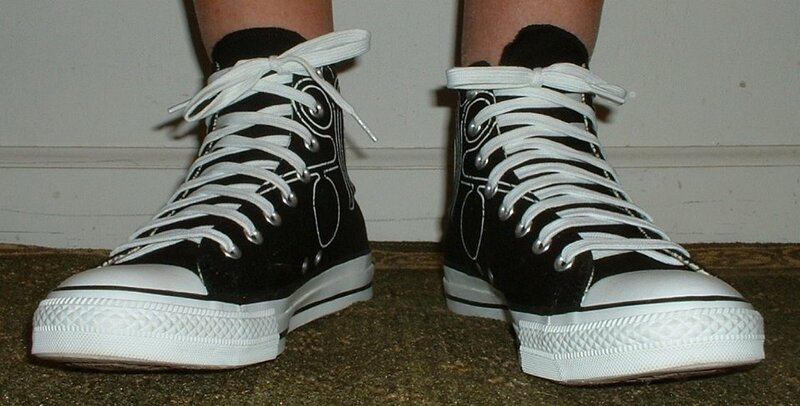 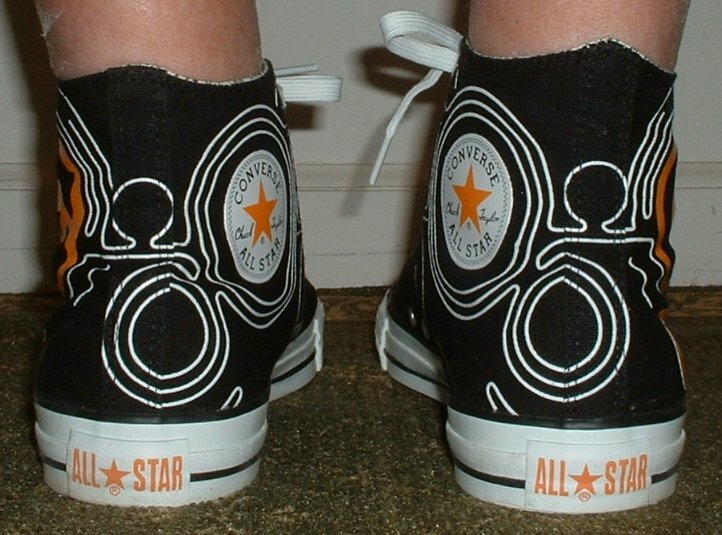 Converse issued a lot of extra models that year including shoes that had this century print on them. 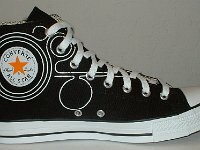 This particular graphic design with the white circles and orange logo features was first introducted on their Fall, 2008 catalog cover. 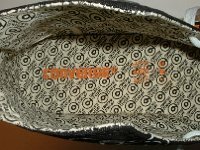 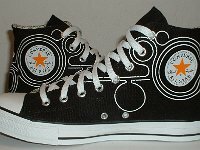 These shoes came in half sizes and had a special inner lining print that has repeated Converse century text with the star in a circle. 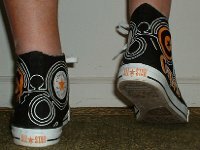 The ankle patches and heel patches are different because they are accented with orange rather than black or blue stars.